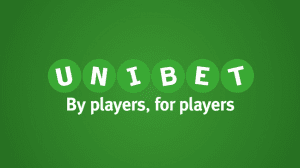 Unibet is a global betting brand with many racing and sport markets and nice promos. With a home base in Malta, UniBet burst into the Australian market in 2012 with the purchase of BetChoice, rebranding it as UniBet.com.au, joining the online bookmaker’s vast operations in Italy, France and Denmark. Across the world, it is understood to have more than 14 million account holders in over 100 countries, making it one of the biggest bookmakers on the face of this planet. Licensed in the Northern Territory, UniBet.com.au has been keeping the big guns on honest in Australia for the past four years. The bookies reward bonuses are awesome. It is basically free money that you can withdraw as soon as you receive it. Unibet gives all new customers the option of claiming a 100% up to $150 deposit bonus. This means you can deposit any amount up to $150 and increase your bankroll by double. There are wagering requirements attached to this bonus including the fact you must turn the bonus over four times before you can withdraw it. There are is one big pro and one big con to UniBet.com.au’s sports betting interface. The pro is that there is a supremely handy search engine on the site that allows you to hunt down the particular event, player or team you want to bet on. All you have to do is enter the search field and type your player, say Hawthorn’s Sam Mitchell, or your team, maybe the NFL’s Green Bay Packers and it will bring up all the markets involving them. Ditto for the league or sport. Type NBA or try tennis. It’s very, very handy. The con is that there is no menu that show all the sport markets available. You will find the ones coming up, but, unlike other similar bookmakers, there is no menu down the left hand side or across the top that contains every single event that you want to bet on. It does however, have a shortcuts menu, that heavily focuses on Australian sporting events. UniBet.com.au has a mountain of racing markets available to punters. Whether you love the thoroughbreds, greyhounds or harness racing, there is something for every on on site. You’ll find UniBet.com.au covers every Australian race and also features a plethora from overseas, with all the big ones covered. The interface online is very easy to use and is packed with the information you need to make an informed betting choice. UniBet.com.au offers plenty of deposit options that are quick and easy to use and help you get your money into your betting account. It also has a pair of withdrawal options that make it very simple to access your winnings once you’ve got a big one home. Credit card: You can quickly and securely make deposits into your betting account using your credit or debit card. All you need to do is register it with UniBet.com.au and select the credit card deposit option. POLi: Perfect POLi requires no credit card. All it requires is an online banking account in your name. The POLi add-on can use your bank account online to immediately transfer funds into your betting account. It only takes a couple of swift clicks and you are home. Direct Bank Transfers: These take a little longer and can be made over the phone or on your net banking account. It’s almost exactly the same as using POLi, except it cuts them out and you then have to wait for the bank to do its banking to see your funds in your account – a task that can take them up to two business days. If you don’t mind waiting, then this is the deposit option for you. BPAY: Australian members can use BPAY to deposit funds into their account via internet or telephone banking. To make a BPAY deposit, log in to your financial institutions online or telephone banking portal and follow the prompts to make a BPay Bill Payment. You will be required to enter the Biller Code and your Customer Reference number, which you can find under ‘Make a Deposit’ on the UniBet.com.au website. It can take up to three days to appear in your betting account once you have completed your BPAY transaction, so make sure you plan ahead. Bank transfer: Don’t let this scare you, but UniBet.com.au touts on its website that a bank transfer can take from three to 10 working days to process. Those estimates seem a little far fetched. We know of transactions that have appeared two days after submission, so we would hope the 10 day forecast is the absolute worst case scenario. It would certainly not be feasible if that was occurring all the time. Credit card: UniBet.com.au is one of the few online bookmakers that allows you to withdraw to your own credit card. It is much quicker than a bank transfer, but you’re obviously hamstrung by the fact that it may not be real cash – it’s the bank’s money. If you want to be successful in the world of online gambling these days, you have to allow your customers to get mobile. Fortunately, UniBet.com.au has invested in a very snazzy mobile app that can work on Apple iOS and Android devices, including smart phones and tablets – you can directly download the app by tapping the button on this reveiw page on your mobile. The live streaming is an outstanding feature of the app, offering over 30,000 events per year that you can watch live. This includes sports like tennis, football and the NBA. We love the comprehensive live coverage which allows you to watch the games and follow all the in-play markets at the same time. It’s hard to fault UniBet.com.au as a ‘best of the rest’ type. While it is a massive bookmaker worldwide, we feel like they are still finding their place in the Australian landscape. As we have mentioned, their focus on the welfare of their punters is commendable. The bookie goes by the motto ‘By players, for players’ and we think they live up to that ethos with their attention to detail and the fact that they put their punters first.